 Industrial Clutch Parts Ltd. supply a complete range of WPT Geared Tooth Friction Discs. Available directly from stock for immediate delivery and reduced lead times. ICP supply geared friction discs from 6” to 60”. We offer a direct replacement for Twin Disc, Wichita, Desch, AP Industrial Clutch, Taylor and Transfluid. Available in woven kevlar, sintered metal, and molded organic materials. WPT Gear Tooth Friction Disc 18"
Fits Low Inertia Clutches & Brakes and Power Grip Clutches. WPT Organic Gear Tooth Friction Disc 14"
Fits Low Inertia Clutches & Brakes and Power Grip Clutches. Grooved on 1 side. Fits Low Inertia Brakes. Vertical Mount with Spring Holes. WPT Gear Tooth Kevlar Friction Disc 14"
Fits Low Inertia Clutches & Brakes. Fits Low Inertia Clutches & Brakes. Grooved on 1 side. Fits Low Inertia Clutches & Brakes and Power Grip Clutches. Split, 2 segments. Fits Power Grip Clutches & PTO Clutches. WPT Gear Tooth Friction Disc 21"
Fits 21" Low Inertia Clutches & Brakes and Power Grip Clutches.